The Pulsfog is suitable for simple and quick treatment of spaces and is very effective for combatting insects. The different types are all provided with a powerful jet engine, which is generally fault-free. For best results with the Pulsfog, good maintenance of the machine is very important. We will give you five tips to prevent Pulsfog starting problems. Gauze is normally stretched between the standard support materials: pillars with a ring at the bottom that are pushed into the ground in the greenhouse. Because there often are differences between crops Royal Brinkman has a large assortment of gauze and support materials to support your crops. Our product specialist explains about the different types of gauze for each crop. Below you can find a summary of which gauze to choose for which crop. 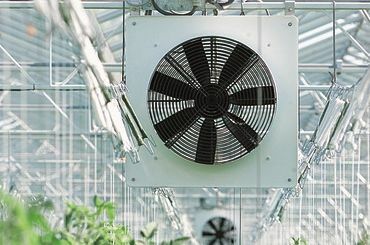 In a modern greenhouse there is hardly any more talk about natural air movement because of good insulation. Therefore temperature of not always even everywhere. Cold or warm corners can develop in the greenhouse. As a result there will be difference incrop growth. 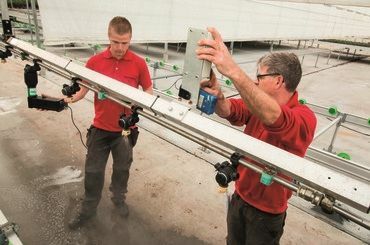 To ensure air movement in the greenhouse ventilation towers are important for good greenhouse climate. 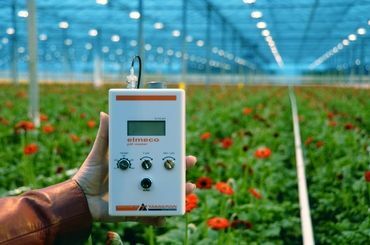 This is one of the products that contribute to improved greenhouse climate. Climate compiters, air and shielding also contribute to this. By maintaining your pH meter well you will extend its lifespan and ensure that your measurements are as accurate as possible. The probe’s maintenance is of special importance, because this part does the actual measuring. The probe is a very fragile part which needs to be handled with care. Here are a few tips. Maintenance of mechanical equipment is essential to avoid failures, but also to ensure a safe working environment. 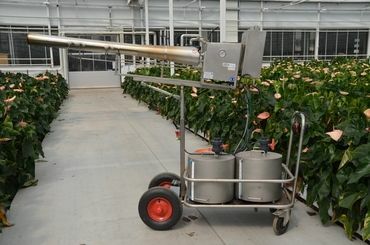 On this page you find a list of categories of videos that explain how to perform maintenance on different kinds of mechanical equipment for horticulture. 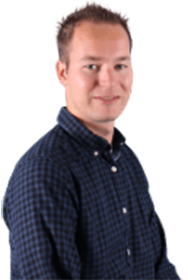 If you have any further questions, please contact one of our specialists. How do I clean spraying equipment? After spraying, it is important to properly clean your spraying equipment so it will be ready for its next use. If you don’t do this, there is a chance that crop protection products end up where they shouldn’t, which can cause crop damage. In short: Always clean spray equipment after use! We will explain how to best do so. Technical trade goods and mechanical engineering belong to the theme 'Mechanical equipment'. A team of specialists are providing sales and installation of products such as spray equipment, electric tractors, pipe rail trolleys, harvesting equipment, aluminum products, etc. The combination of excellent knowledge of horticulture, crops and expert advice will guarantee you the optimal solution for every situation. 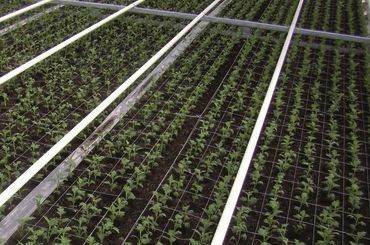 The goal is a fully functioning greenhouse business in which everything runs smoothly. The product group mechanical equipment contains products for internal transport such as pipe rail trolleys, electric tractors and harvesting trolleys. Royal Brinkman has several partners for these products, especially Berg Hortimotive has been the main supplier of Royal Brinkman for long. 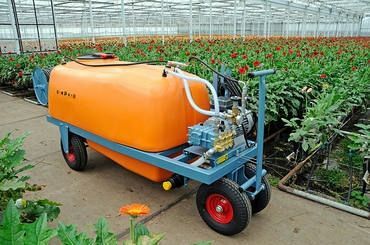 Also for spray equipment, greenhouse roof cleaners and horizontal spraying booms you are at the right place, together with our partners Empas, Van der Waay Machinery and Robur we can advise you the best. Also for crop rotation machines and cleaning machines, please contact us. The entire range of Weterings and Dibo equipment are included in the Royal Brinkman range. The specialists are also active in the field of hygienic solutions. Disinfection mats and hygiene stations are provided by Boons-FIS and Flexxolutions. We will find a solution for every problem! Within the product group mechanical equipment Royal Brinkman also provides the small technical trade goods . Think about scales, scissors and knives and aluminum constructions. Royal Brinkman has an exclusive collaboration with wire mesh production company Dinxperlo. Together with Dinxperlo we can provide a 100% high-quality, reliable precisely woven wire mesh for flowers in any size. Also supporting material for various applications belongs to the mechanical equipment theme.